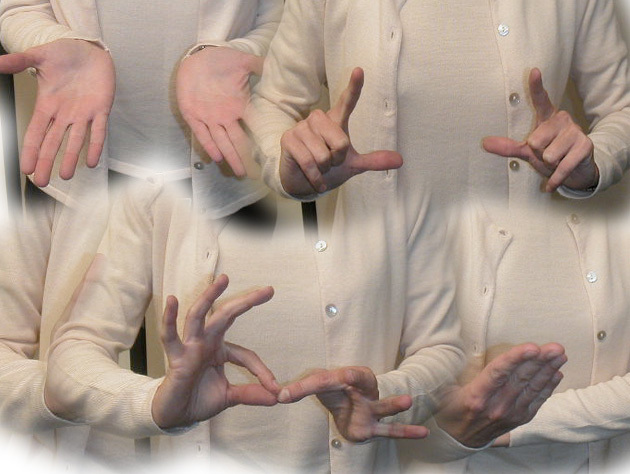 Learning Sign Language Off the Internet? In the past couple of weeks, I have noticed that the most popular blog post here at Deaf Pagan Crossroads has been one titled “Thoughts On Pagan Sign Language – Part One” – the first entry in a series of posts in which I shared my views in regards to the use of sign language within the Pagan Community. Although I first wrote this post in June of 2012, it seems that in the last few months it has seen a sudden increase in readership…going from an average of 10 views per day last June to an average of 43 views per day this past January. That’s a significant increase, and I cannot help wondering what’s been contributing to it. Granted, some of it could be the return of students to school, who are taking up ASL to meet their language requirement. Certainly there has been a surge of interest in sign language as we see it thrust into the national spotlight more and more often – consider all of the attention given to Lydia Callas, the sign language interpreter who became an overnight sensation after being seen on national television interpreting for NYC mayor Michael Bloomberg during the Hurricane Sandy event. 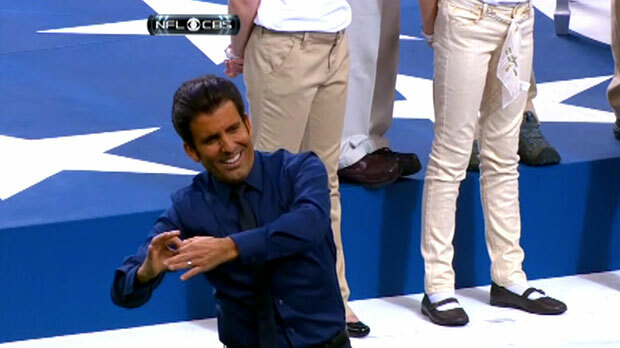 Or the recent interpretation of the National Anthem at the Superbowl by Deaf entertainer John Maucere. 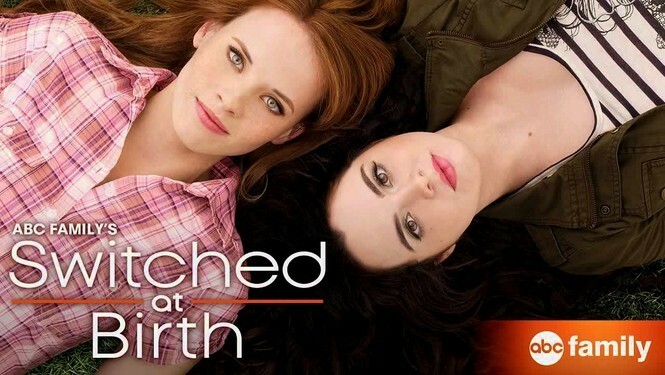 Switched At Birth, the ABC Family Channel’s show about the lives of two teenaged girls who discover that they were in fact switched at birth due to a hospital error, leading them to go home with the wrong families. One of these girls is Deaf, attends a school for the deaf, and has a best friend who is also Deaf…who ends up dating her hearing switched counterpart. (The fact that my posts related to this show have also received high viewer statistics since the latest season began earlier this year only reinforces such suspicions). Don’t get me wrong…I’m thrilled to see that there is a strong interest in learning more about ASL, and hopefully developing one’s own skills in utilizing the language. Newsflash, readers – if you are hoping to develop your own skills in sign language by researching appropriate sites on the internet, you might want to reconsider such efforts. While certainly these sites can be a valuable resource in one’s study of ASL, don’t expect to achieve a level of competency that would allow for any meaningful conversations with your own Emmett Bledsoes. 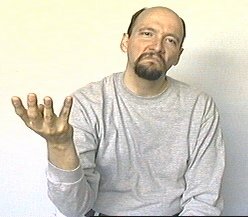 Ask any Deaf person what the best way to learn ASL is, and the vast majority (including myself) will recommend that you take an actual real live class, with a flesh and blood instructor. Trying to learn the language from internet sites, books, and/or videos will only get you so far, and will likely not provide you with the kind of in-depth understanding of the language that you would get from taking an actual class. To begin with, it is important to understand that American Sign Language IS a language…it’s not merely “learning how to talk with your hands.” It is more than just the hands alone – it incorporates facial expression, mouth movements, body language, etc. These components are not intended merely to make your signs look more “animated” and interesting…they are an important and integral part of the grammar and syntax of this manual-visual language. If you don’t understand how to utilize them properly, then you’re missing a significant part of what makes ASL what it is. In addition, the grammar and syntax of ASL does NOT follow English. Don’t think that by taking an English sentence, looking up the signs for each word in a book or on-line, and then signing each word in the sentence, you are thus learning and using ASL. You’re not. You’re merely converting English into another medium, like when you convert it into Braille or Morse Code. And if you attempt to utilize such signing within the Deaf Community, we might smile politely and support such efforts…but it will be pretty darn obvious to us that you’re neither using nor studying ASL. That’s the problem with trying to learn on your own – you might learns SIGNS…but you don’t learn HOW TO SIGN. You don’t learn the grammar, you don’t learn the syntax. You don’t learn all the important nuances that go into conveying your message in a manner that would be seen and understood as ASL. You don’t learn all the cultural aspects of the language and how they are incorporated into its use. You don’t pick up all the subtle body cues that can change what a sign means and its use within a sentence. You don’t learn how to express concepts utilizing signs in an appropriate way. So yes…if someone comes to me and asks what’s the best way to learn sign language, I am going to encourage the individual to take a class. And by class, I mean signing up for an actual series of lessons with an established curriculum, taught by a competent instructor who knows what s/he is doing. I’m not talking about getting together over lunch with “a friend who knows some sign language.” Sure, you might pick up some phrases that way, but I highly doubt you’ll become proficient. Do yourself, the Deaf Community, and the language a favor. Yes, it might take more time, effort and money…but the results will be far more worth the investment. Check out your local community colleges, technical schools, or universities – oftentimes you will find they offer ASL courses. There are many benefits to taking a class that far surpass any attempts to study and learn the language at home on your own. Even though there are some good on-line resources and/or videos available, oftentimes what happens is that an individual will start making the signs wrong, without even realizing they are doing so. It’s hard to be able to look at yourself and see if you’re actually doing the signs properly. In a class, you have the benefit of someone being able to observe you and provide necessary feedback to correct any mistakes and help you improve your clarity. In addition, a class provides the opportunity to actually practice using your signs with other individuals, and also develop your receptive skills – the ability to read and comprehend what other people are signing. This is a problem I frequently see amongst self-learners…they might be able to express themselves somewhat adequately, but often fail in being able to understand the signing of another individual. Remember, a major reason for learning another language is to be able to communicate with others. You are not going to develop that skill if you’re not in fact making the effort to actually use what you’re learning with others. 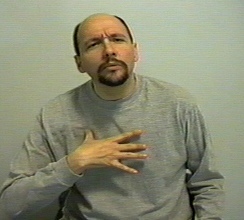 By taking a class, you are forced to have to use your signs with your instructor and fellow students in the class…and sometimes there will be additional opportunities as well – such as guest visitors or “field trips” to places or events where you get the opportunity to meet and converse with Deaf people and other ASL users. This brings up another important aspect of learning sign language – socialization. Even if one doesn’t take classes, the best way to actually develop and improve your skills is to turn off your computer and get out there where there are Deaf people and start practicing what you’re learning. Many times Deaf people have “social gatherings” where they get together with others to chat. Oftentimes these take place in the food court of a local mall or at a Starbucks (for some reason, Starbucks is a popular Deaf meeting place!) Or if you enjoy playing sports, find out if there is a Deaf group that gets together to play basketball or volleyball or softball. While such gatherings can be intimidating at first, just start off by finding one or two people whom you can talk to. Most Deaf people are friendly and patient when they find that you are truly interested in trying to learn their language and get to know them better. Keep coming back – that will show that you’re really motivated and making the effort, and Deaf people will respond to such efforts. Don’t give up! Where there is a will, there is a way. Remember that a “blended approach” is the best way to learn ASL – the combination of a class, on-line resources, and socialization. In this way, you get all of the benefits of each working together to provide the most ideal environment for developing your own skills and increasing your fluency. Remember that learning ASL is like learning any new subject…you get out of it what you put into it. If you’re only going to show up in class, open your book, learn a couple of signs, and then leave and never study or practice on your own, you won’t get very far. On the other hand, if you actively participate in learning the signs in class, practicing them often at home with on-line resources, and then go out to Deaf Bingo Nights to chat with others, it won’t be long before you will find yourself being able to hold your own in a sign conversation.